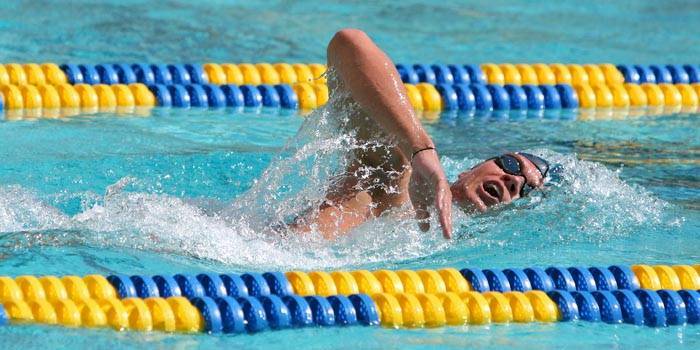 Former Cal swimmer and Swiss national Dominik Meichtry did the impossible at the 2008 Beijing Olympics. He was the first man to beat world-beater Michael Phelps-kind of. In the 200m freestyle prelims, Meichtry posted a 1:45.80 time�-faster than any other Olympian, including Phelps. While everyone was quick to congratulate Meichtry, he found the accomplishment amusing. "I keep on laughing because after that swim, everyone was asking about it, because it was the first time (Phelps) got beat in his own heat," Meichtry said. "(Phelps) is swimming for eight gold medals. He's going to feel tired and not give it all he has every time. People are telling me I can tell my grandkids about it ... I thought it was more funny than anything." Meichtry couldn't duplicate the feat in the finals, though. His 1:46.95 was good for sixth place, about four seconds behind Phelps' world-record swim. And though Meichtry exited his second Olympics without a medal, he gathered a wealth of experience and, perhaps more importantly, gained a newfound confidence. "Looking back, I pushed a little too hard in the prelims and paid the price as the meet went on," Meichtry said. "But breaking 1:45 in the prelims opened up a whole new world for me. It's a major step forward for me." Meichtry also proclaimed that he had taken another major step forward-in his treatment of Olympic superstars. "I got to meet Kobe (Bryant), Roger Federer," he said. "A lot of rookies go running up to them, asking for autographs��, something I did my first year. Luckily I didn't make the same mistakes." And when asked about his fondest memory of the games�, he quickly pointed to his Cal brethren. Cal Bears-Duje Dragana, Henrique Barbosa, Mike Cavic. It's awesome for the aquatics program and it was awesome to be a part of."